Your own creativity is your only limit when it comes to engraved bricks and stones. Not the creative type? Talk to us! We can show you lots of great ideas and help you figure out exactly what you need. Granite Walls make a simply stunning statement. 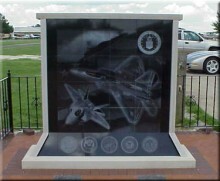 As a memorial or in honor of a group, an engraved granite wall stands out and commands attention. Ready to get started on your fundraiser? You can start on our Fundraising Page or call us at 419 408 4129. Need to raise a lot of money for your organization? Look no further! An engraved brick or stone fundraiser is the ideal fundraiser. Every fundraiser requires work to be successful, but with Engraved Brick Pavers, you have people with years of knowledge and experience ready to help you every step of the way. Your first step will be to determine the location for your engraved bricks or stones. 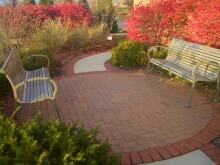 Most people choose to create a brick patio or a walkway. Take photos of your chosen area for a "before" picture. Work with an artist to prepare a drawing of what the area will look like when the fundraiser is completed. Consider the people who will support your fundraiser in this decision–making process. What is going to inspire confidence in them? What sort of projects do they like to attach their names to? The name you choose should inspire people to want to participate in the fundraiser. It should convey a purpose for the project. A few name ideas: Outdoor Reading Area, Observation Patio, Alumni Walk. Need more ideas? Feel free to call us! So many options to choose from! When you work with Engraved Brick Pavers for your fundraiser, you end up with a truly unique project. Think about what is going to look best in the setting you've chosen. Also consider the people who will be buying the bricks and stones. What will they like? You can choose your brick color(s), size, and manufacture. We offer three types of engraving on all of our bricks: laser, epoxy, or stained. Check our Products Page for more details on the options available to you. How many lines of text per brick/stone? Will you offer more than one size of brick? How much will you sell the bricks for? Design a brochure explaining how beautiful your finished project will look (use drawings and photos if possible) and the benefits it will provide. Tell your reader what the profits from your campaign will be used for and how important it is to your organization. Thank the reader in advance for their donation and explain that the message engraved on their brick will be read for decades to come. Include an order form on one fold of the brochure. A quality brochure will inspire your donors. A poorly designed brochure will give the impression that the entire project is poorly designed. We've posted a few sample brochures below for you to download. Feel free to use them for inspiration.